As someone who travels way too often, I need a fake cheap replica to wear in place of my diamond ring. 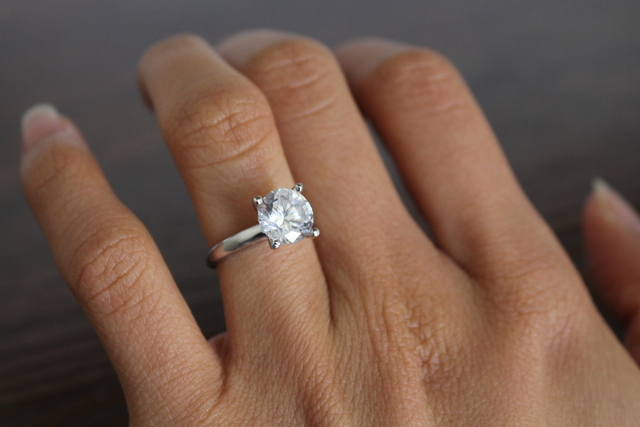 After all, wearing my diamond ring is like wearing a car on my left ring finger. And that fact alone makes traveling with my diamond ring intimidating. That's where Modern Gents Trading Co. comes into play. 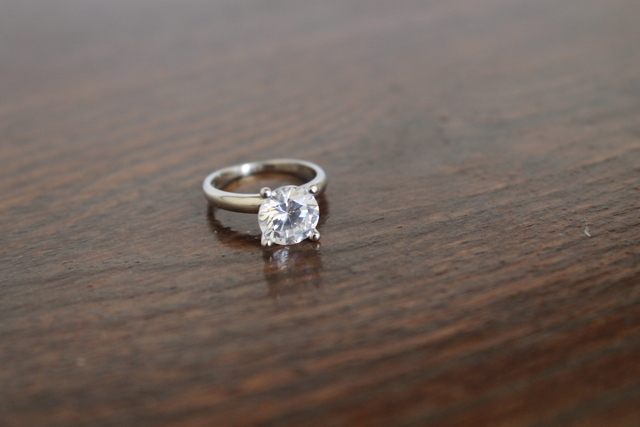 This company offers cubic zirconia gems in an engagement ring style setting. The One and Only setting costs less than 40 bucks. Plus, if I lose the ring, it's no big deal. After wearing this ring for a week now, I can confidently say this is a great travel ring. This is how the ring looks on my hand. 1.) The cubic is sparkly. 2.) The metal does not turn your finger green. I have been wearing it everyday for a week now. I even wear it in the shower. 3.) The metal is made of 925 sterling silver. 4.) I have super tiny fingers. Actually, I wear a size four which is a very difficult size to find. Modern Gents offers my size in many of their ring styles. 1.) The gem is a cubic. Thus, the gem does not feel or look like a diamond. 2.) The ring does not have a lot of weight to it. I may not know your lady. But what I do know is that she is worth way more than 40 bucks.